These fine and impressive red coral earrings have been crafted in 18ct yellow gold. 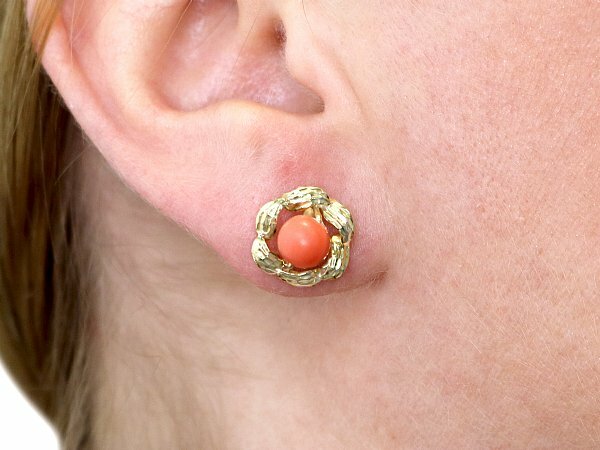 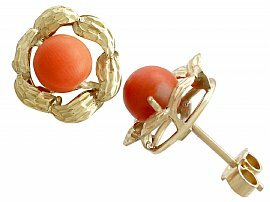 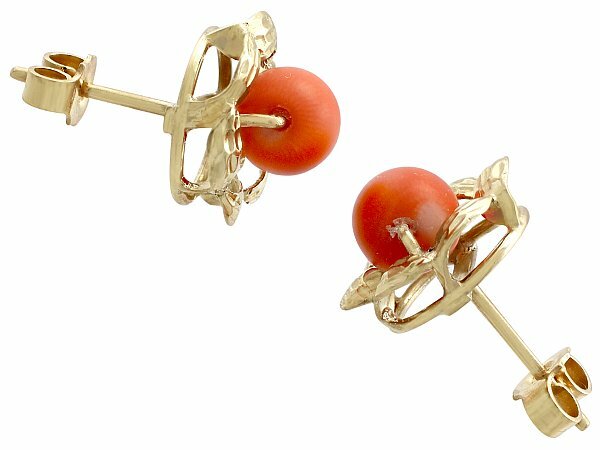 Each of the 18ct gold and coral stud earrings are ornamented with a single beaded 6.40mm red coral bead. 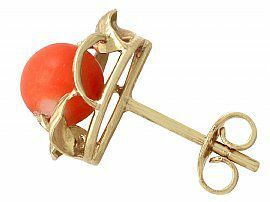 The bead is set to the centre of a floriated, scalloped edged frame, embellished with a textured design to the surface. 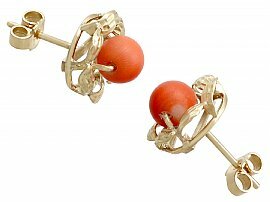 The butterfly fastenings are each hallmarked with the 18ct gold fineness mark (750). 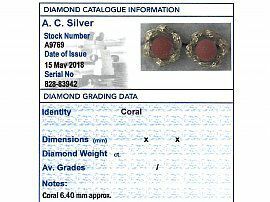 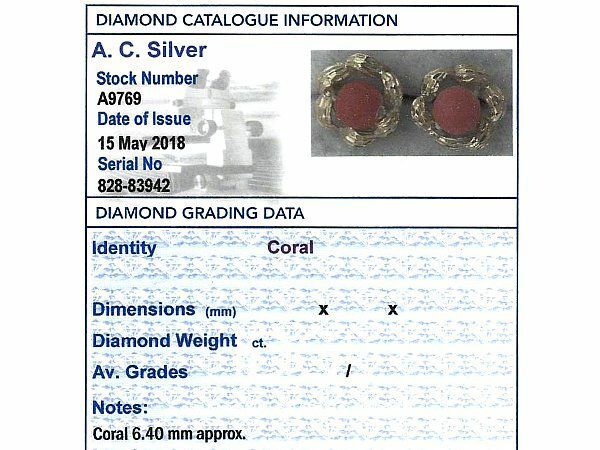 This impressive pair of coral earrings is supplied with an independent diamond grading report card. 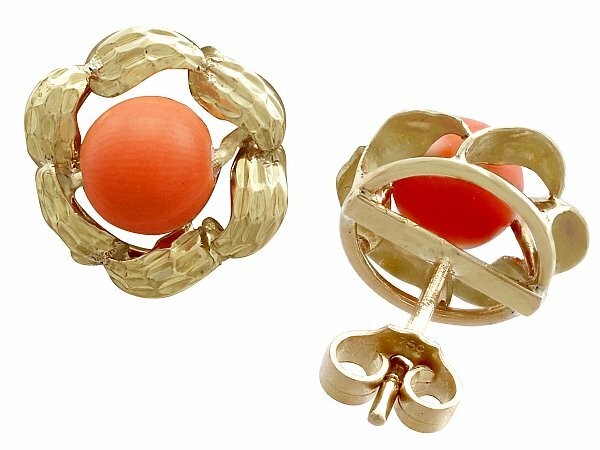 These impressive vintage 1970's stud earrings are fine quality set with impressive coral beads. 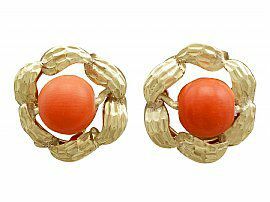 The earrings are a very good gauge of gold and are in excellent condition with hallmarks to the butterfly fastenings. 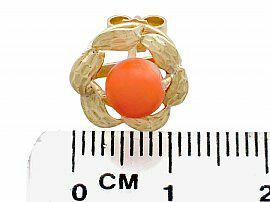 Reflections in photographs may detract from the true representation of this fine example of coral jewellery/estate jewelry.